If you love to travel as I do, a travel journal is a great way to plan, track and document memories from your trip. A travel journal is a place where you can write your experiences and what you have learned during your trip. Simply but it’s a travel diary that stores your adventures, stories and memories. 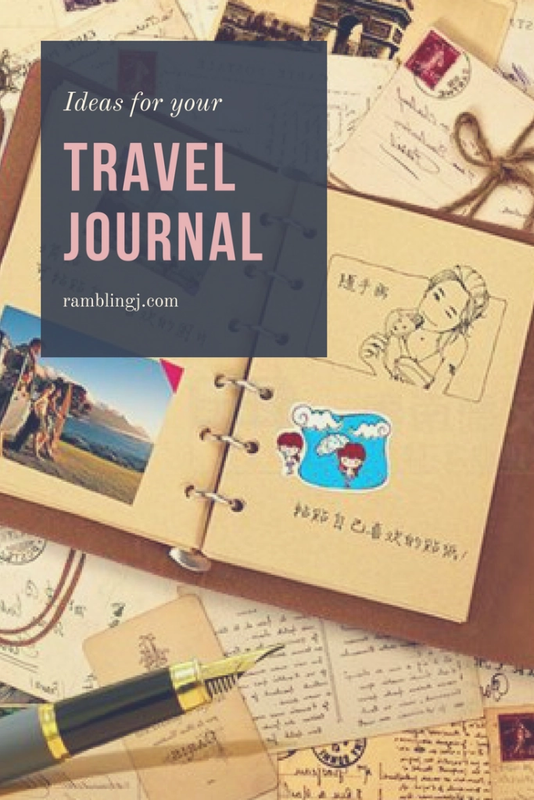 Travel journal is similar to that of starting a travel blog but not everyone wants the world to read your deepest thoughts or when inspiration strikes while on their travels. Some people find that to be creative with their pages very easy and others like me need some inspiration for what to put in to my travel journal. 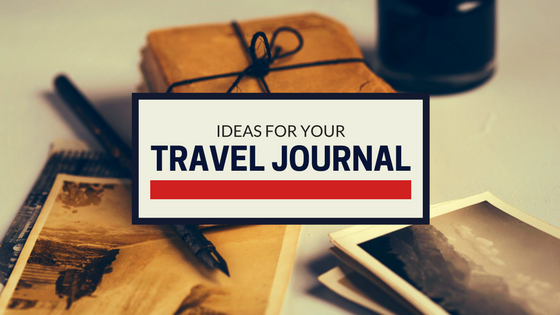 Here are some travel journal ideas that you can create while you are travelling. As much as I hate packing for trips, a checklist comes in handy. Put a checklist into your travel journal, it’s a great way to look forward to a trip. You can make it more interesting and try to create an interesting looking checklist before you go. 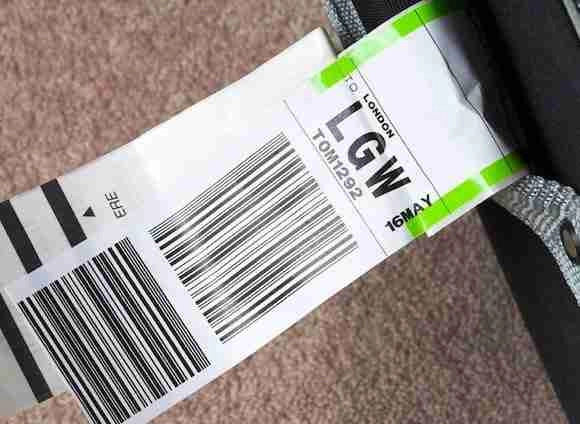 Luggage tags are also a great souvenir to add to your travel journal. The great thing that they are free and a record of all the different places you visited. I always keep these, as to see if the weight of my backpack increases or in the unlikely event decrease during my trip. A saved ticket stubs from planes, ferry, bus and trains are a great way to keep a record of the route you took to get to all the different places you visit! 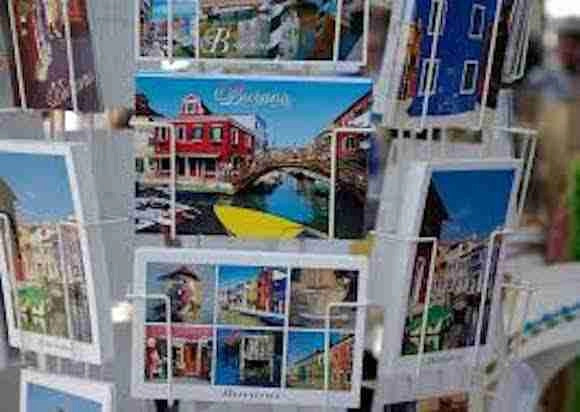 Grab these business cards from the hotels or hostels. They are generally at the reception area of the hotel or hostels and there free. The business cards makes it easier than trying to remember the street name or worse, saves you the embarrassment of trying to pronounce it. So get one. Not only are these great for the travel journal but also come in useful when comparing prices from one tour outlet to another. These are great to add to your travel journal and always return home after the trip with some coins and notes left over. Get a map of the city, metro or bus routes. These make a great addition but also help in planning out your way to get around the city. Postcards are available worldwide and are fairly cheap to buy. There also have great pictures of the place you are visiting, that just can’t be done from a phone camera. Get a couple of postage stamps from each country you visit. They’re not expensive and they’re different everywhere you go. Stamps aren’t everyone’s cup of tea but do look great in the travel journal. Pictures are worth a thousand words. Put pictures in to your travel journal combining them with the story you are telling of your favourite parts of your day, this will make for an even more comprehensive account of your travels. This is an interesting one to add. Take a bit of sand and put into your travel Journal. Use cardboard and glue, dip them in the sand on the different beaches you visit. Similar to the sand from the beach. All you need to do is slip them between your pages and will dried out in time. Obviously be beware with security checks and border controls, that some plants die or alive may not be allowed into the country you are traveling to. You will meet some amazing people and these people can make your trip. Whether you came with them, or met them there, write about how the people you encountered affected your experience. Include these in your travel journal. Also include information about the locals you meet. If there any restaurant and food that you enjoyed or not, write them down to remember them all. Maybe some new food you tried will influence your tastes when you return home. Talk or draw about what you liked about the trip? What you like the least? And would you go back or give recommendations to go there. A Travel Journal is great for tracking expenses throughout the day. It will help you control your budget and check whether you’re spending your money wisely. Finally, whenever keeping a travel journal, be sure to take a timeout to write at the end of the day. If you don’t, it’s gets very easy for the days to pass by and you forget important details of your trip. And that’s it for now! I’d love to know if this post on travel journal ideas has helped you. Please feel free to leave a comment or if you have any suggestions please leave a comment!